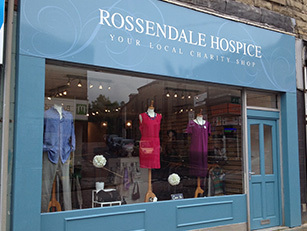 By donating your pre-loved items to a Rossendale Hospice shop, you can be guaranteed your support will raise funds to help local people living with a life limiting condition. If you have any clothes (especially menswear) that don't fit, you won't wear again, any unwanted gifts that you'll never use, books you've read, small electrical items and bric a brac please consider donating them to us. If we think a particular item is unique or is of particular interest, we will sell it on Ebay to get a higher price. Likewise, we up-cycle clothes that don’t sell and make weird and wonderful items. We can arrange collection from your home or company premise...to do this please contact your nearest shop. Buy, sell, help the Hospice!